If you don't mind telling us, how did you vote on that referendum a few years ago about abolishing the Australian monarchy? Or, more generally, do you think Australia should be a republic, and if so, why? Has any recent Prime Minister of yours been eaten by sharks? Have you seen the Boer War courtroom drama Breaker Morant, and if so, what did you think of it? Is the Sydney Opera House just as cool on the inside? If you were in charge, what policy changes, if any, would you make regarding policy towards the Aborigines? Did you attend any events during the Sydney Olympics? What was it like? Does licking a cane toad have any kind of psychotropic effect? How far a drive are you from the major Australian cities? And most importantly, would you take back Mel Gibson now, please? I can't Youtube today, so I have to miss that question out til tomorrow. But the other questions were so good, I'll try to answer them now. * I voted for abolition of the monarchy. That 'colonial' stuff was OK when we were 'finding our feet' as a nation, but we're really not all that British any more. I certainly don't identify as British or colonial, and find those things silly and almost insulting in modern Australia. And I'm SICK TO DEATH of hearing about Willie and Kate. Some of us don't care, and don't like our favourite shows being pulled to watch some piffle about some royals we care nix about. * Lamentably, no. Our contemporary PM's are still around. * I haven't seen Breaker Morant. * The Opera House is actually really cool inside. Nice acoustics, nice aesthetics, just nice. * Policy change re: the Aborigines is a tough one. Past governments have done so much damage to the reconcilliation process, although it is slowly moving forward. Whatever gets done, it nedds to be done carefully. * I was a long way from Sydney during the Olympics, but saw some bad things come from that. Homeless people (mostly Aboriginals) 'moved on' etc. * I actually eat dingoes' babies. So juicy! * Depending on what you call a major city, but the closest would be about 8 hours away. * No. Mel Gibson was born in America, he resides in America, and we're happy with him being over there. Russell Crowe spend too much time here as is. And he's from NZ! How serious is the upcoming Ashes series being taken over there? Within certain circles, the upcoming Ashes series is a BIG DEAL. For an alarming amount of people, sadly, it's not. We finally have 2 Ashes teams worth watching, and it should be a hum-dinger of a series. Heh. I just watched the 'Bruce' sketch. Interesting how foreigners characterise us. This would be up there with the Aussie Simpsons episode for entertainment and satire. Is your name not Bruce, then? Thanks for your answers earlier. If you get the chance to watch Breaker Morant, I highly recommend it - a great war movie and courtroom drama. Probably one of my Top Three favorite movies ever. Its historical accuracy has been questioned in the years since, but it's a great film by any measure. Do Australians often jog naked through fields? No, but I've seen lots of dropbears. What's the least dangerous animal in Australia? Is this a question, Gadaí? 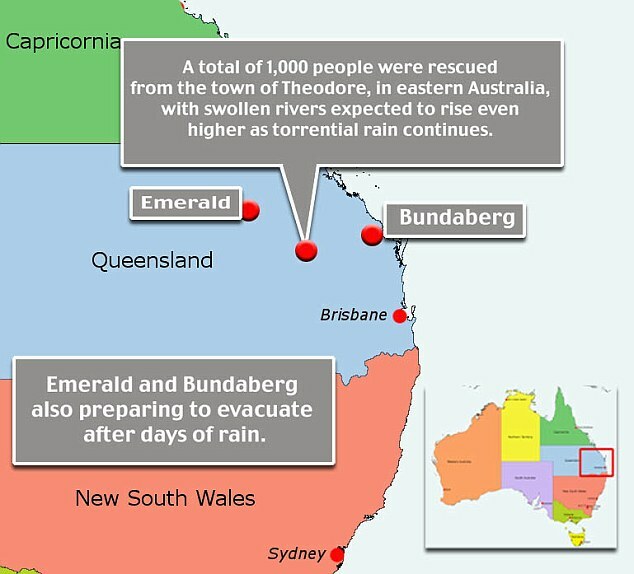 Is there a state/territory of Capricornia that I've never heard about? LOL Capricornia is a region. Have the Cylons found it yet? Where's the drop bears in this? Yeah, but what do cylons have to do with Capricornia? What in the foggy blue morning are you all talking about?! Is there a link between Capricornia and Cylons? The planet/colony destroyed by the Cylons was called Caprica. Ah ha! Now I'm in the loop! Caprica is one of my favourite spices. Is it just my ignorant American ear, or are regional Australian accents really similar to one another? I can't hear a notable difference between someone from Perth and someone from Brisbane, for example. Did the Cyclone pass you by? There are regional differences, maybe not as marked as differences between different American accents. I certainly notice it. Queenslanders often make fun of how I talk, as I'm from Victoria. South Australians have a perculiar accent - pronouncing 'school' as 'SKOO-wul' etc. Last edited by Trojan Man; 02 Feb 2011 at 08:40 PM. The cuclone is further north, but we've been getting storms off it. The concern here is that cyclones are not predictable, and do not always stay on a predicted course. This one's been downgraded to Category 2 now, so it seems the worst has passed for my region. How's your region doing as far as flooding? Are the storms making things bad again? The floodwater's completely gone now. The storms put everyone here on edge coz we DO NOT! want any more rain. But the worst that's happened is a few puddles, thankfully. i would like to share about the mammals in the Australia that there are the lot of mammals found in the Australia.so that parrots,tigers lion...you must have to see the mammals in the Australia. Parrots are mammals now? I mean I can see the argument for them being called dinosaurs, but I cannot accept mammals. My cousin is emigrating home. Boomeranged all the way. Is that a supersonic boomerang at least?